When the only possible outcome is Mission Accomplished, rely on the men's Thorogood 8" War Fighter military approved boot. Feel the quality of support from back home in these Berry Compliant and union made boots. Direct attach construction with heel and toe stitch for added strength. 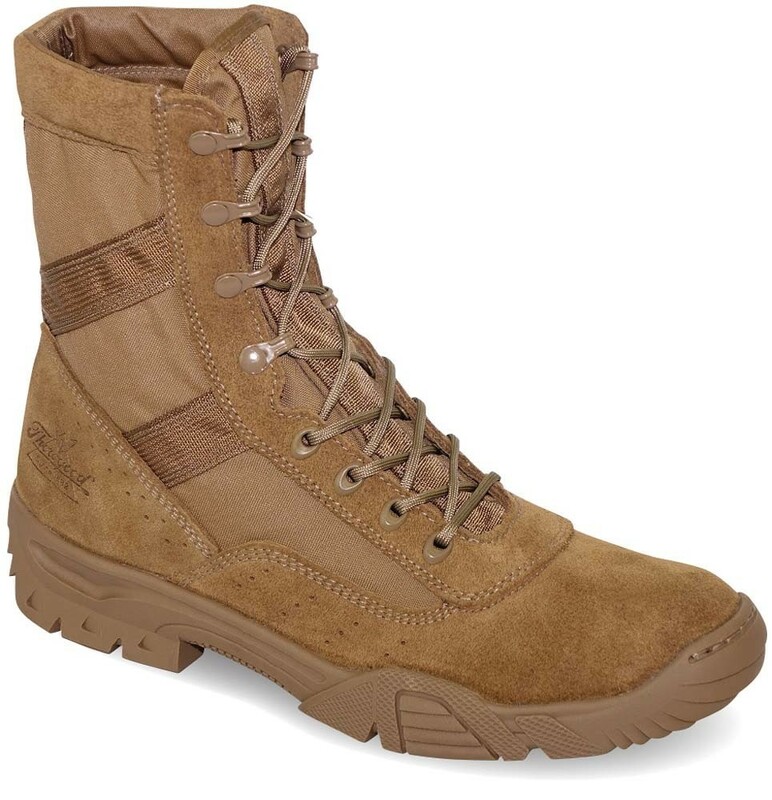 Rugged triple-stitched upper in Coyote Mohave leather and 500 denier nylon with stitched heel and toe for maximum abrasion resistance. Removable, Comfort 125 polyurethane footbed cradles your foot. Fiberglass shank provides support and protection from below, while the multi-terrain rubber outsole with 90-degree heel provides excellent traction whether you're on land, rooftop, or ladder.